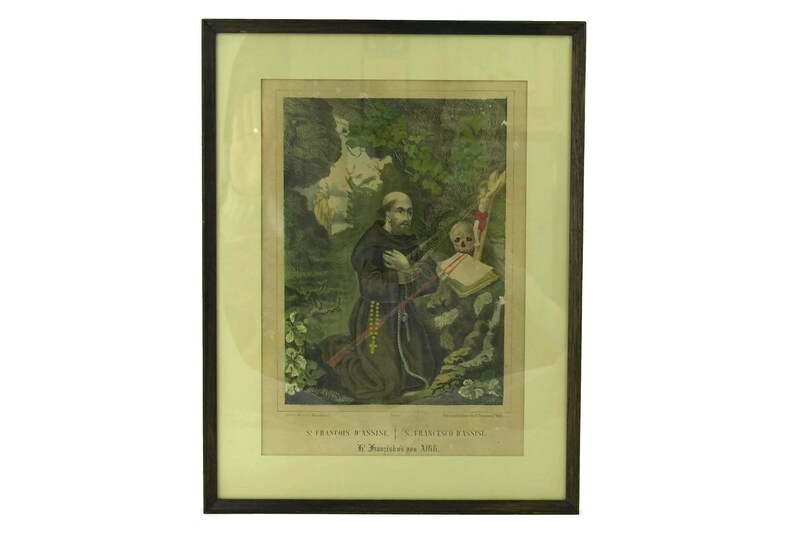 Antique Saint Francis of Assisi Art Print by Wentzel of Wissembourg. 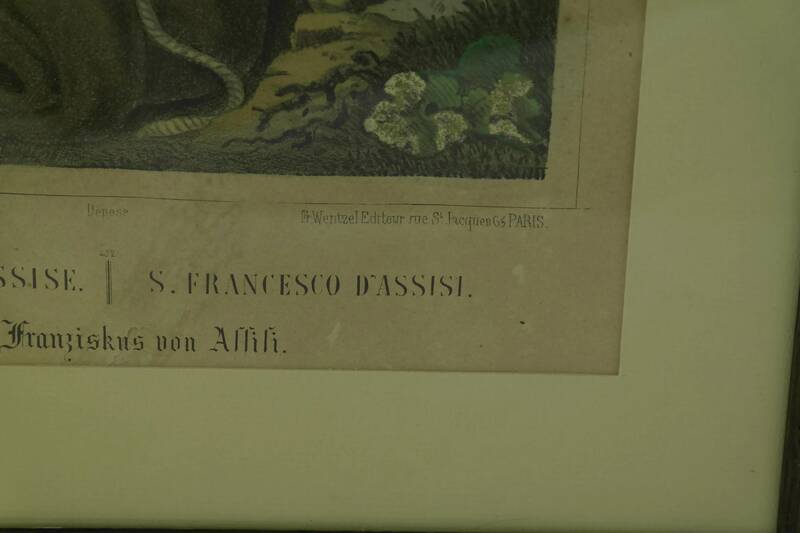 Framed French Religious Lithograph. 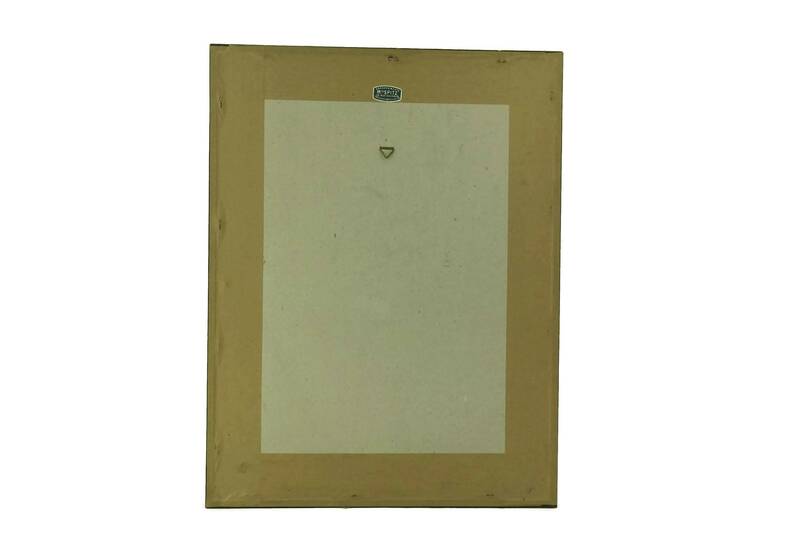 Christian Home Decor and Gifts. 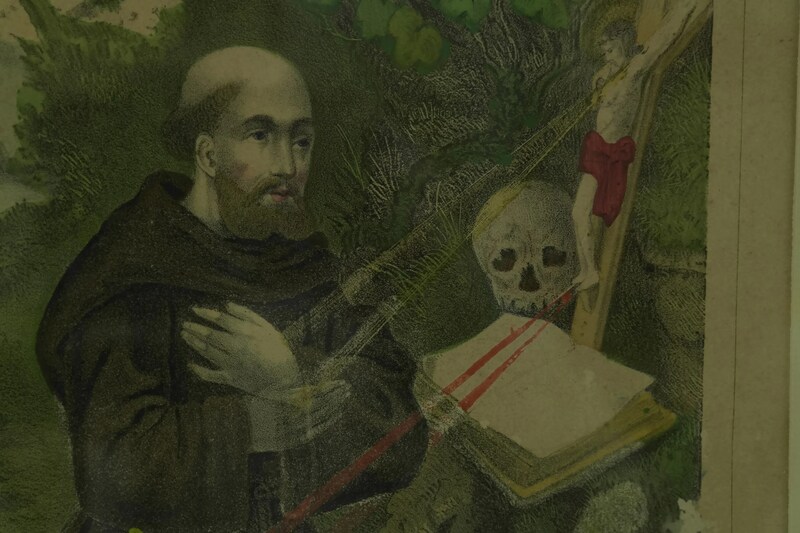 A beautiful antique Saint Francis of Assisi art print by the famous lithograph editor Wentzel of Wissembourg in France. 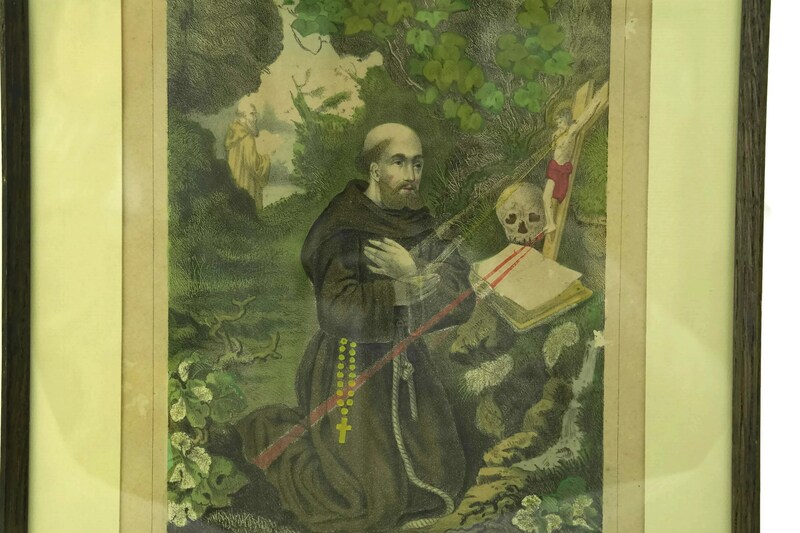 It dates to the 19th Century and portrays Saint Francis praying before a crucifix. 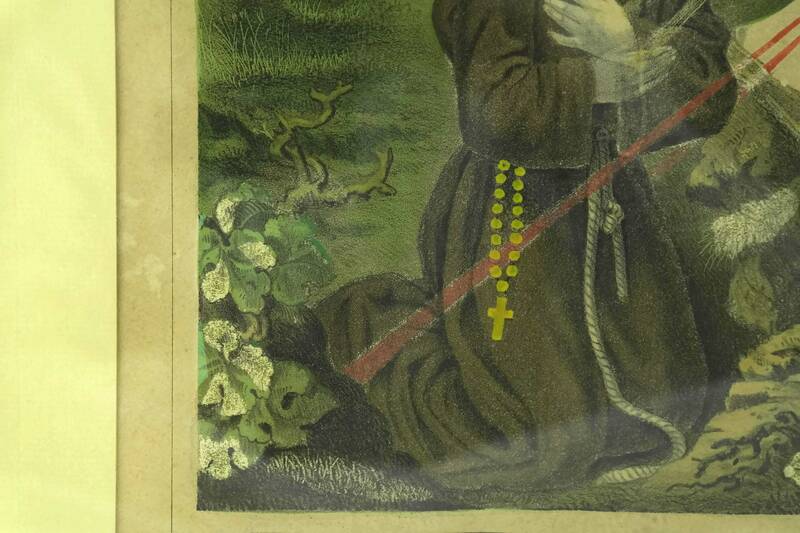 The religious lithograph has been coloured in bold shades of green with brown and red accents. 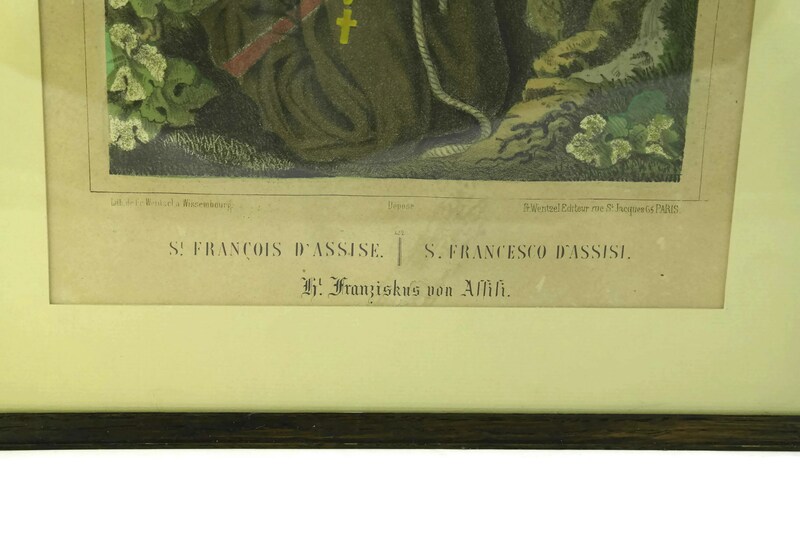 The title has been printed in French, Italian and German and features the name of the Frederic Wentzel printing company along the base. 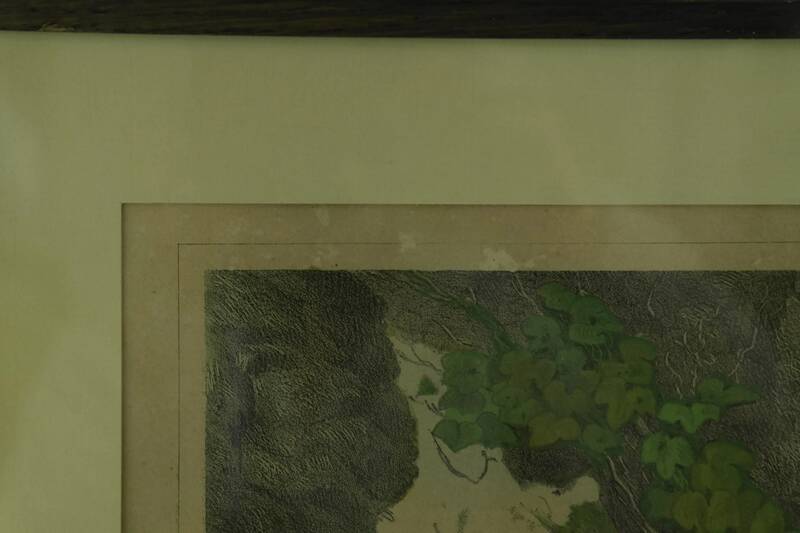 The Christian image has been framed under glass with a cream tone matt. 16 1/2" Tall x 12 1/2" Wide (42 cm x 31 cm). 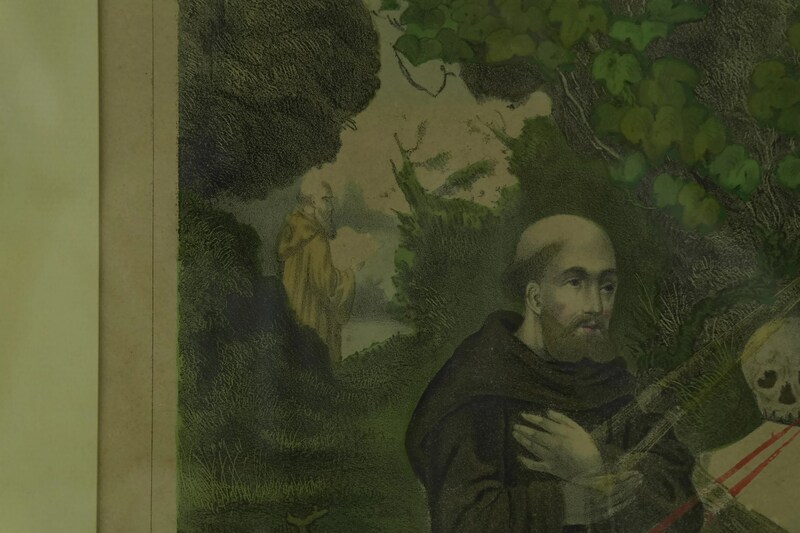 The antique portrait of St Francis is in good condition with some signs of age including light scratches, a small tear and and flakes to the surface of the paper. 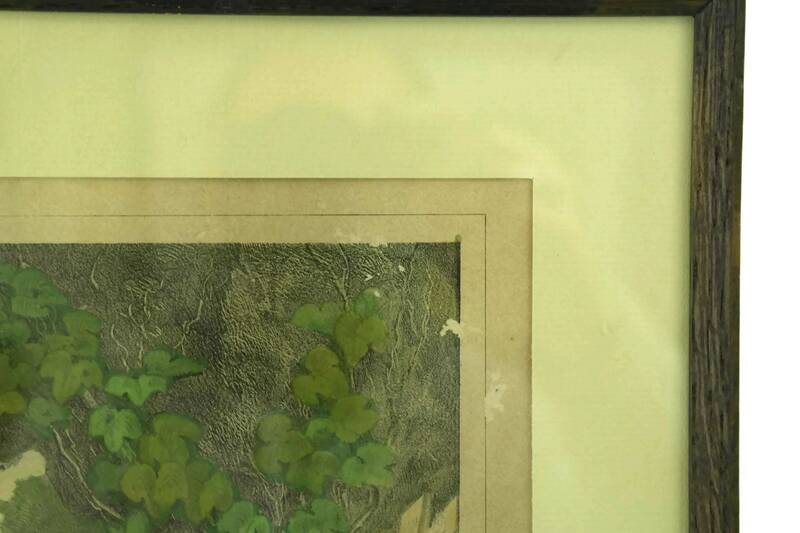 It has a hanging ring on the reverse side.